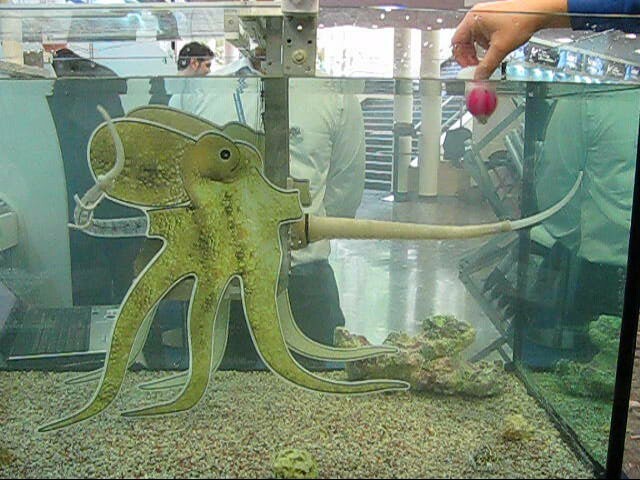 The robotic limb is inspired by octopus tentacles. It does not present any joints or rigid mechanical parts, it is capable of passively elongate, shorten, flex and selectively stiffen. 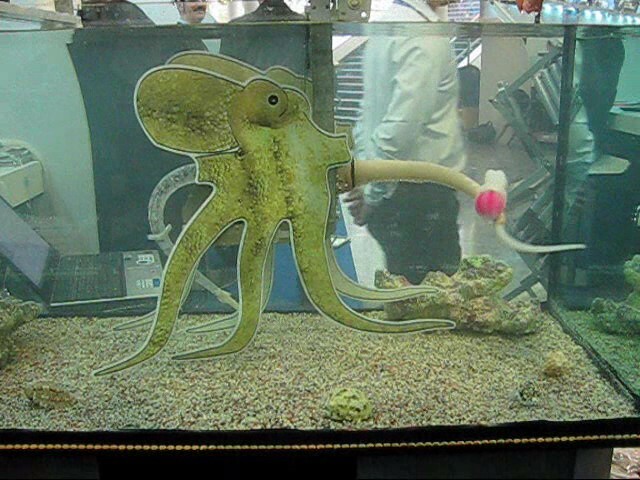 It is also capable to pull and compress, to grasp and manipulate objects, and is able to work in confined spaces, all features allowing the tentacle to adaptively implement with a Soft and safe structure. The solution may be of interest to companies active in different sectors: games and entertainment, rehabilitation and exploration of environments submarines. An Isovolumetric structure without joints or rigid mechanical parts, capability to perform passive elongation, shorten, flexion and selective stiffen of a part of the art. Capability to pull and compress, to grasp and manipulate objects, and is able to work in confined spaces, since it is composed of soft elements that can collapse and adapt to the surrounding environment. Each section is independently manageable of the others, but by virtue of its continuity, any applied force and deformation is distributed throughout the structure. Passive elongation produced by only reducing the diameter of the structure. Soft structuring, plus mobility implementation plus exploitation of the passive properties of the materials allows a much slower control and intelligent use of the forces within the structure. Fill the gap between this technology, as a part of a more complex instrumentation, and the structured tool for a particular industrial sector. 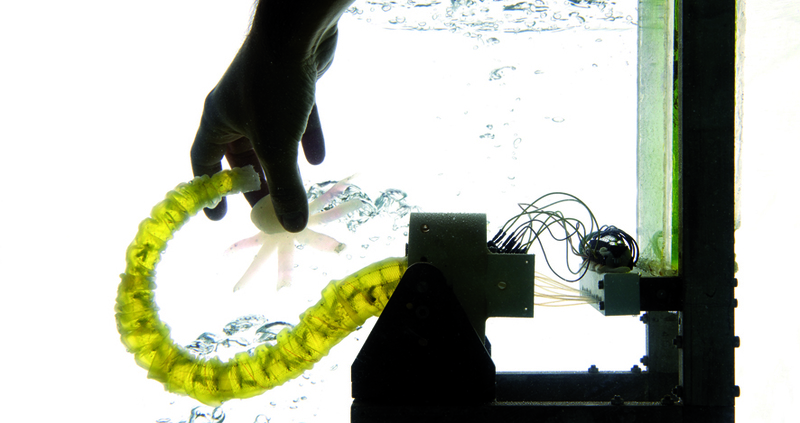 The robotic limb can be integrated on underwater robotic platforms (AUV) but also on ROVs specializing in underwater manipulation. It can also be used in industrial sector and service robotics where it is required compliance and high handling capacity. It is potentially useful even for space aerospace applications, where weight and dimensions are decisive and have a very high cost. 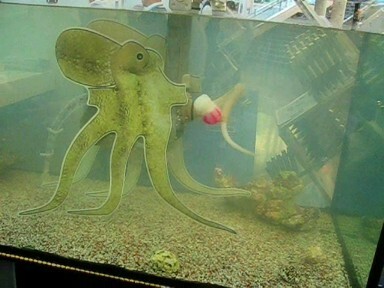 Industrial sectors where the delicacy of manipulation is crucial, such as food-processing and archeology (underwater or non-archeology) or in the handling of medical or mini-invasive surgery. Moreover, the possibility of being compressed makes the present invention very suitable for all those difficult to reach areas, such as in the cleaning of pipes, silos, reservoirs and tanks or in the removal of rubble or search for people in areas affected by natural disasters.